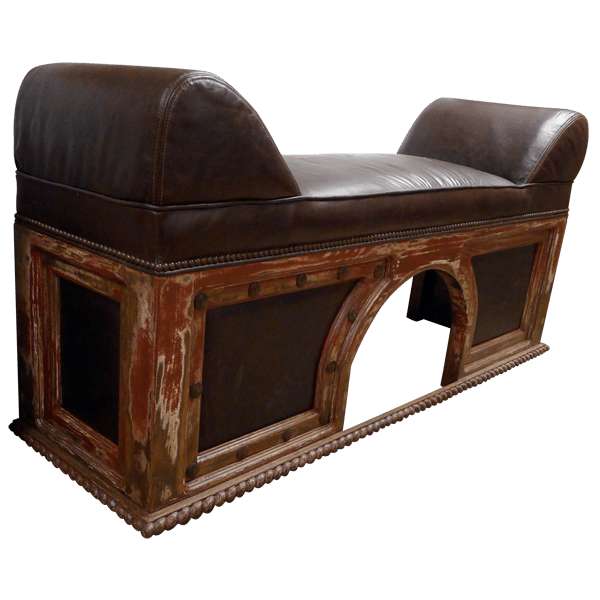 Grace your Western décor with the innovative design of this creative, handcrafted, Western style bench. The top of the solid wood frame is adorned with a lovely, hand carved, twist rope design, and centered in the frame is a bridge like gap. The frame has a distressed, antique finish, and on each side of the centered gap is a geometric panel. 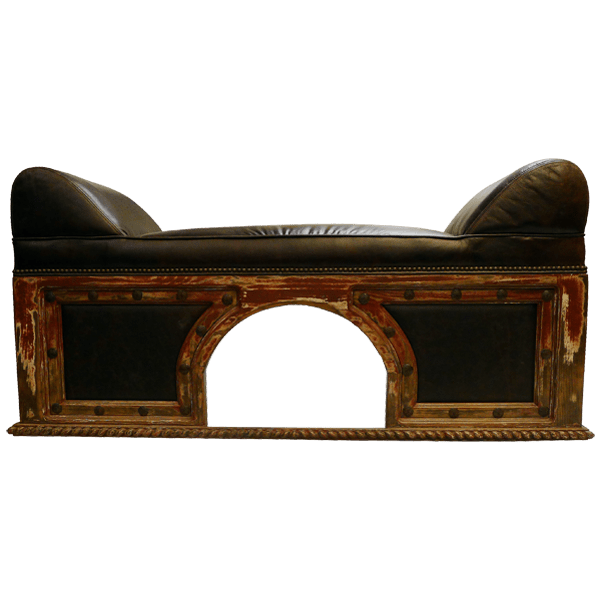 The panels are upholstered in opulent, dark brown, full grain leather, and surrounding each panel are intermittently hand tacked, hand forged, iron nails. The geometric panel design is repeated on each lateral side of the bench. The lower part of the frame is embellished with a robust, hand carved, twist rope design. The bench is designed without a back, and it features comfortable, padded armrests on each side of the wide, rectangular seat. 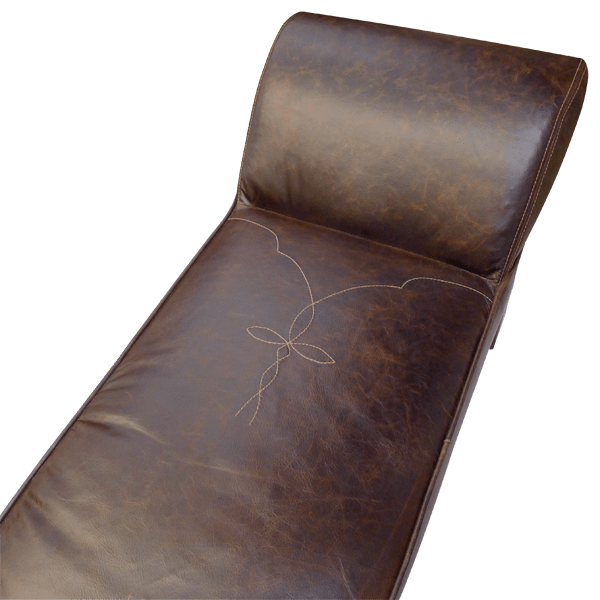 The padded seat and the armrests are upholstered with matching, patterned, full grain leather, and there are hand sewn details on each side of the seat. It is made with the best, sustainable, solid wood available, and it is 100% customizable.